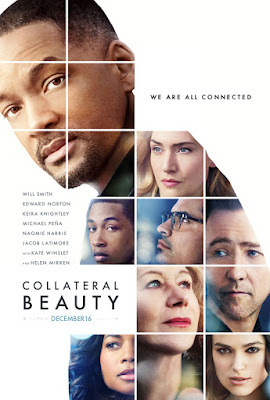 Download a pair of passes to see Collateral Beauty in San Diego! You can download an admit two pass to see the new movie Collateral Beauty at AMC Mission Valley 20 - 1640 Camino Del Rio North, San Diego, CA 92108, on Thursday December 8th, 2016 at 7:00pm. When a successful New York ad executive suffers a personal tragedy and retreats from life, his friends devise a drastic plan to reach him before he loses everything. Pushing him to the very edge, they force him to confront the truth in surprising and profoundly human ways.